Come aboard Yacht StarShip for the ultimate Sunday brunch experience. Sip and sea Tampa in a new way! Dine on a specially prepared brunch buffet while taking in the views of Downtown Tampa. Indulge in a create your own mimosa or bloody mary bar complete with all the fixings for just $5! 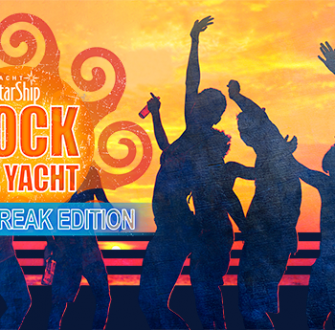 A Yacht StarShip brunch cruise is the perfect way to celebrate a special occasion, gather with friends or simply enjoy a relaxing day on the water! Farmers Market Salad with Assorted Lettuces, Cherry Tomato, Red Onion, Garbanzo Beans, Carrot Straws, Olives, Cubed Cheddar and Hard-Boiled Egg. Dress code: Resort Casual – we discourage from flip flops, tank tops or anything ripped or torn. Terms: This cruise is non-refundable and non-transferable. Guests may change the name on the reservation to let someone else use their tickets. We do not accept gift certificates, vouchers or offer discounts on holiday/special event cruises.